Ã¢ÂÂThe institutional and legal status of the WTO, with its integrated dispute settlement system, provides a framework for certainty, security and stability for trade as well as a coherent system to protect intellectual property rights. In all member countries and their respective enterprises, WTO regulations need to be considered when designing and implementing trade-related strategies for business operations in the integrated global market. 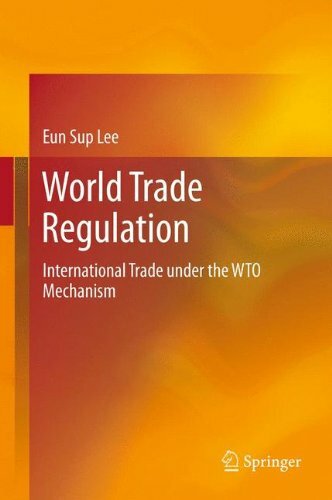 This book aims at giving upper-level undergraduates and graduate students a comprehensive understanding of the public regulations related to international trade within the WTO mechanism and equip them, as potential policy makers and future practitioners in international trade, with the practical skills to interpret and apply the multilateral trade regulations as outlined by the WTO.